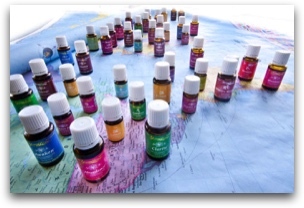 Essential Oils are the foundation of everything Young Living does. 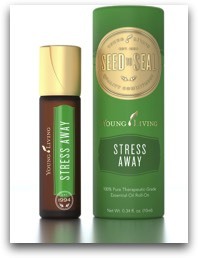 100% pure essential oils backed by their Seed to Seal promise. Enjoy enhanced health and wellness for you and your family using Young Living Essential Oils. 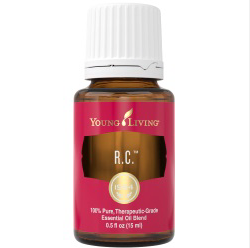 These powerful essential oils, using the proprietary Seed to Seal process, bring out the very best in you, each and every day. 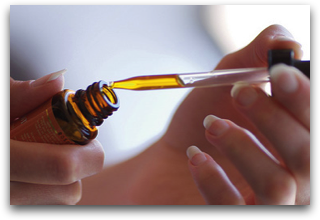 Transform your day and energize your senses with specially designed and formulated essential oil blends with specific objectives in mind. Young Living Essential Oils is excited to bring you the Young Living Vitality™ Line, a collection of dietary essential oils labeled specifically for use as essential oil supplements and culinary oils. 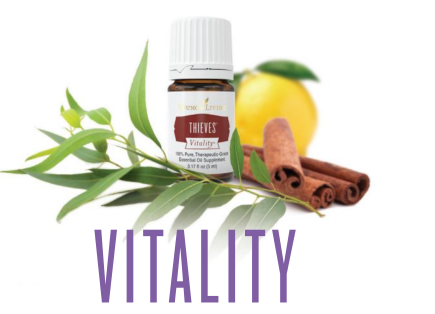 Vitality essential oils are therapeutic-grade, and you can use and share them as dietary supplements and culinary ingredients. 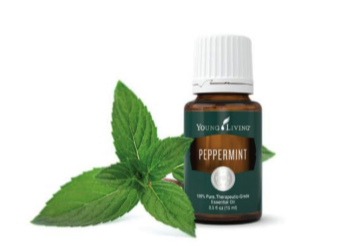 This line includes some of our most popular oils, such as Peppermint Vitality, Lavender Vitality, Lemon Vitality, Thieves® Vitality and more. Now warm and spice and everything nice can go with you wherever you go! 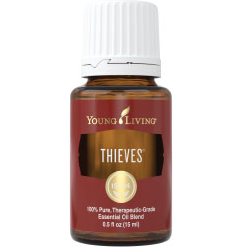 Thieves® Roll-On comes prediluted and ready for application, so you’ll never leave the house without it! Golden Touch 1™ collection contains four Vitality™ essential oils and three essential oil blends to support your body inside and out. 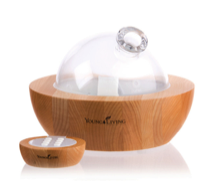 This carefully selected collection is perfect for supporting a healthy lifestyle regimen and keeping your spirits lifted during winter and all year round. 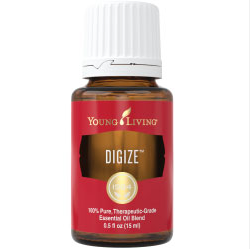 Contains: Seven Blends (5ml bottles): Di-Gize™ Vitality, EndoFlex Vitality™, JuvaFlex Vitality™, Melrose™, Raven™, R.C.™, and ThievesVitality®. 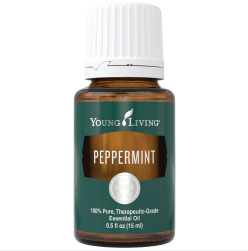 Contains: Seven Single Oils (5ml bottles): Thyme, Basil, Peppermint, Oregano, Wintergreen, Cypress and Marjoram. 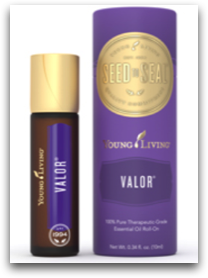 Two Oil Blends (5ml bottles): Valor II & Aroma Seiz™. Also contains one 8-oz. 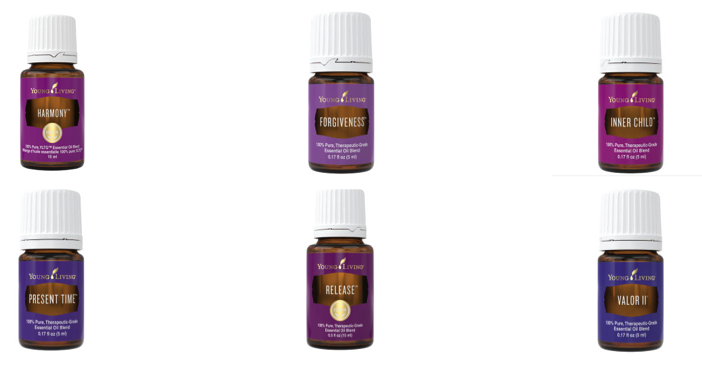 bottle of Ortho Ease® Aromatherapy Massage Oil and one 8-oz. V-6™ Enhanced Vegetable Oil Complex. 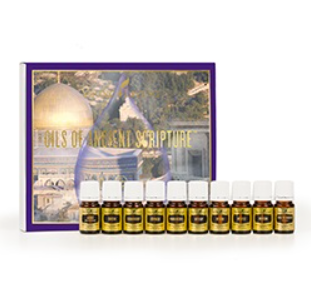 Oils of Ancient Scripture™ contains the Ten most significant oils found in the Bible. 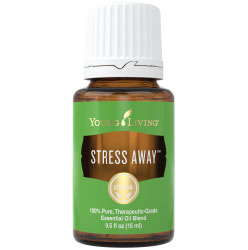 Young Living's wish in bringing them to you is that you will savor and enjoy the beautiful fragrances and intriguing histories of these precious pure essential oils. Contains: Ten Single Oils (5ml bottles): Sandalwood, Cassia, Cedarwood, Cypress, Frankincense, Hyssop, Myrrh, Myrtle, Onychal, Rose of Sharon/Cistus . 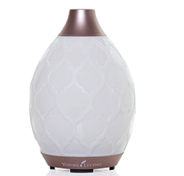 Feelings™collection features six essential oil blends that inspire feelings of emotional well-being when diffused. 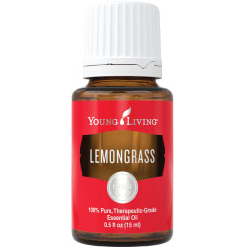 Use in the morning and evening to promote peaceful thoughts and spiritual harmony. You can view the full Oils Product line on Young Living's Virtual Product Guide.